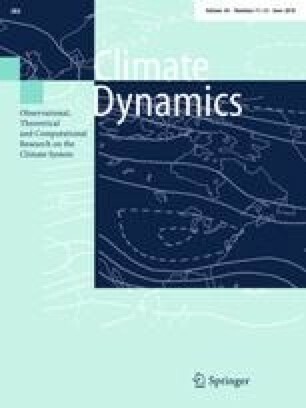 Over the past few decades the horizontal resolution of regional climate models (RCMs) has steadily increased, leading to a better representation of small-scale topographic features and more details in simulating dynamical aspects, especially in coastal regions and over complex terrain. Due to its complex terrain, the broader Adriatic region represents a major challenge to state-of-the-art RCMs in simulating local wind systems realistically. The objective of this study is to identify the added value in near-surface wind due to the refined grid spacing of RCMs. For this purpose, we use a multi-model ensemble composed of CORDEX regional climate simulations at 0.11° and 0.44° grid spacing, forced by the ERA-Interim reanalysis, a COSMO convection-parameterizing simulation at 0.11° and a COSMO convection-resolving simulation at 0.02° grid spacing. Surface station observations from this region and satellite QuikSCAT data over the Adriatic Sea have been compared against daily output obtained from the available simulations. Both day-to-day wind and its frequency distribution are examined. The results indicate that the 0.44° RCMs rarely outperform ERA-Interim reanalysis, while the performance of the high-resolution simulations surpasses that of ERA-Interim. We also disclose that refining the grid spacing to a few km is needed to properly capture the small-scale wind systems. Finally, we show that the simulations frequently yield the accurate angle of local wind regimes, such as for the Bora flow, but overestimate the associated wind magnitude. Finally, spectral analysis shows good agreement between measurements and simulations, indicating the correct temporal variability of the wind speed. This work has been supported by the ongoing Croatian Science Foundation (HrZZ) projects CARE (no. 2831) and VITCLIC (PKP-2016-06-2975).The authors would like to thank the reviewers for their suggestions, which have helped improve this paper. A primary idea for this research was established on behalf of the past HrZZ project CATURBO (no. 09/151). The work of the ETH group was supported by the Swiss National Science Foundation through the Sinergia grant CRSII2_154486 ‘crCLIM’. We want to thank Lidija Srnec and Mirta Patarčić for their contribution in performing parts of the DHMZ-RegCM42 simulations. We also thank Anika Obermann and Bodo Ahrens for providing the QuikSCAT data and to all CORDEX group members for providing useful information. We acknowledge the World Climate Research Programme’s Working Group on Regional Climate and, Working Group on Coupled Modelling, the former coordinating body of CORDEX and the responsible panel for CMIP5. We also thank the climate modelling groups (listed in Table 1 of this paper) for producing and making available their model output. We acknowledge the Earth System Grid Federation infrastructure, an international effort led by the U.S. Department of Energy’s Program for Climate Model Diagnosis and Intercomparison, the European Network for Earth System Modelling and other partners in the Global Organisation for Earth System Science Portals (GOESSP). Additionally, the simulations used in this work were downloaded from the Med-CORDEX database (http://www.medcordex.eu). ERA-Interim data for wind components were obtained from the European Centre for Medium-Range Weather Forecasts (ECMWF) MARS database. The authors acknowledge ECMWF for providing the MARS database account. The observed data used in this study were acquired from NOAA’s National Climatic Data Center (http://www.ncdc.noaa.gov), DHMZ database and Crocontrol database.